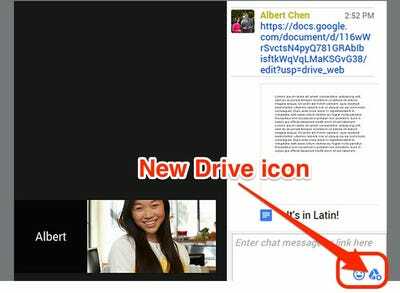 To make its messaging product Hangouts more conducive for remote working, Google just announced that it’s integrating Google Drive into the chat service. When you share the link to a Drive file during a video call, you’ll be able to see a preview of it in the chat window, making it easier to discuss documents or collaborative projects with the person or people you’re talking to. Google’s goal is to make Hangouts more work-friendly, as part of its increased focus on its enterprise offerings, Google For Work. The company makes about 91% of its revenues from advertising, but its work products make up much of the remaining 9%. This new feature is free for all users, but helps Google build its reputation as being able to provide resources for businesses.